According to Maya Angelou, when you wish someone joy, you wish them peace, love, prosperity, happiness...all the good things. Add in a little optimism and some laughter and all the bases are covered. Everyone needs good things in their lives. May you find joy in 2010. 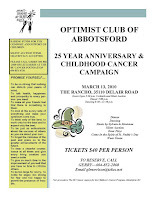 The Optimist Club of Abbotsford, British Columbia is making plans to celebrate their 25th Anniversary on March 13, 2010. The event will also help raise funds for the Childhood Cancer Campaign. There will be dinner, dancing, a silent auction and door prizes. Find out more or purchase tickets from Gerry Morrison at 604-852-2860. The Pacific Northwest District's newest Optimist Club completed their first Christmas project today. The Eagle Optimist Club assembled and delivered ten food baskets to a small, low-income apartment complex where every resident received a basket with a turkey and all the trimmings. There were even extra canned goods, stuffing and more to share with the Eagle Food Bank at the Landing. Here's a quick video of the baskets being put together. On Saturday December 12, 2009 at 10:00 am Gresham Police, Fire and the Gresham Optimist Club brought some Holiday cheer to ten under privileged area children. Ten members of the Gresham Police Department, ten members of the Gresham Fire Department and ten members of the Gresham Optimist Club volunteered their Saturday to shop with these kids. Each child received $100 dollars and was escorted through the Gresham Fred Meyer by one GPD member, one GFD member and one Optimist Club member in search of that perfect gift. After the shopping was done the kids were treated to lunch at Burgerville then taken to the Salvation Army to wrap their gifts. This program relies solely on contributions. 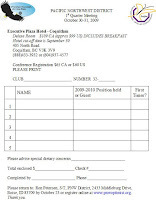 If you would like to contribute to next year's event contact the Gresham Optimist Club. Thanks to a donation from WalMart, the Gresham Optimist Club and their law enforcement partners are heading out again this weekend to do it all over again with a new group of young shoppers. And that's one way that Optimist Clubs help put the merry in Christmas. Thank you! Salem Optimist Club sponsors D.A.R.E. Nice! I didn't know that any of our Optimist Clubs were still sponsoring the D.A.R.E program. Thank you to the Optimist Club of Salem, Oregon for keeping it alive and well in your community. Led by Senior Officer Craig Seibel, the Salem Police Department interacts with students in the Salem-Keizer School District to teach responsibility, how to resist peer pressure and avoid alcohol, tobacco and subtance abuse. They also practice the updated program keepin it Real (kiR) to reach students in grades 6-9. We are looking for pictures of Santa Claus! 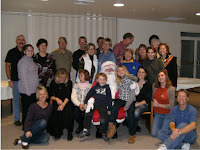 When Santa visits your Optimist Club or holiday event this year, please snap a picture and then send it to the PNW District. Many thanks for your help. The Twin Falls Optimist Club has been really busy! They hosted the Head Start children and families to Christmas dinner with Santa and they helped Santa buy all the presents for the event. This weekend they are heading out to help the Salvation Army as bell ringers and before Thanksgiving they held a Youth Appreciation activity and sponsored a Turkey Shoot. And last weekend, many members were also on hand to help their neighbors, the Jerome Optimist Club, with Breakfast with Santa and a Lost Wages fund raiser. But the reason for this post is to highlight one of their premier ongoing projects: Coats for Kids. Intuitively, we know that through this program the Optimist Club collects coats and then redistributes them to children who need them. What we might not know is what goes on behind the scenes of this awesome project. Thanks to an interview in the Magic Valley Times, you can learn just what it takes to put this program on in your community. Please read the article "Coats for Kids bundles up on donations" here. You can alsow watch a video with Coats for Kids Chairperson Patsy Bland where Patsy discusses the compassionate community during our difficult economic times. The Optimist Clubs in Twin Falls, Jerome and Eagle, Idaho hold Coats for Kids programs. Cruise on over to the Safeway in Sandy, Oregon to pick up your fresh Christmas tree from the Sandy Optimist Club. The hours are 12 to 7 every day until all of the trees have found their Christmas home. Christmas tree sales allow the Sandy Optimist Club to perform community service and youth projects such as scholarships and bikes for kids, plus they also take special requests to provide assistance to students in the Oregon Trail School District. The tree lot is open until all trees have found a home. According to President Mark Sullivan, that's usually about 17 days so hurry in for the best tree around! The tree sales fund all Meridian Youth Projects for the coming year. If your Optimist Club has a tree lot, please send us the location and hours so we can include them on the blog. It's Thanksgiving Day - the official beginning of the holiday season. It is a time when we express our gratitude for our family and friends and the freedom and privileges that we enjoy every day. It's also a time when we stop and share the wonders that we see in the world and people around us. I hope you enjoy the wonder of this short video. Thank you for all that you do as an Optimist Club member to bring out the best in children. Thank you for you for your special friendship. Happy Thanksgiving and cheers to the holiday season. The Foundation for a Better Life is a 501 (c)(3) nonprofit organization. They are privately funded and non-commercial. Their sole objective is to promote positive values, using print and broadcast media. Please help us welcome the newest member of the PNW District family: The Eagle Optimist Club. The Eagle Optimist Club was organized on Tuesday, November 17. They meet at 12:00 noon on Tuesdays at Chicago Connection, 344 W. State Street, Eagle, Idaho. Sixteen charter members are working on several programs for the season. The first is Coats for Kids, chaired by Rachel Cushing. New and gently used coats are being collected, cleaned and repaired and redistributed to children in the community. Also in the works are Christmas Food Baskets, chaired by Brian Doerty. Both projects are being coordinated with the Landing Community Center. The Eagle Optimist Club is currently welcoming new members and charter membership status will remain open through December. Please contact us for more information. A charter banquet is being planned for January. Showin in the picture (left to right): Board Member Jessie Horney, Co-President Mike Harris, Board Member Brian Doerty, Co-President Gretchen Brown, and S/T Randy Rabehl. Boise is known as the City of Trees. In fact, as the French fur trappers came across the desert and first set eyes on the fair city, they cried "Les Bois" - the trees - and the American-ized name Boise came to be. Many years later we have those beautiful trees to thank for the shade in the summer and the opportunities for service in the fall. 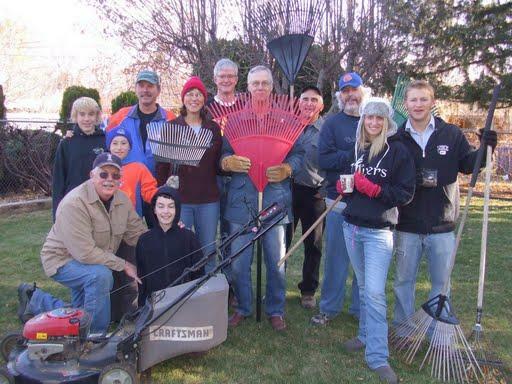 That's why teams from the Boise Noon, Eagle and Meridian Optimist Clubs all went out in force to rake-up their respective cities. What a great way to build friendship, serve others and make our communities some of the best places to live. District Essay Chair Karon Yaden needs your help! She is creating a list of all Optimist Clubs in the PNW District that are participating in the Optimist International Essay Contest. This list is so important because she receives many inquiries from students who would like to submit an essay through their local club. Please send Karon a message now to let her know that your club is participating. The Essay Contest is an easy and rewarding project. Students who have not turned 19 by January 1, 2010 are eligible to participate by completing an essay on the topic “The Internet: Today’s Evolution or Tomorrow’s Menace?” Find the Optimist International Essay Contest rules and application form here. The winning essay at the district level will earn the participant a $2,500 scholarship. All first place district essays move forward to International competition where they compete for an additional $6,000 scholarship. It's not too late to start your Optimist Club Essay Contest today. Read all that you need to know to conduct an Optimist International Essay Contest here. Optimist Clubs set their own submission deadline for club contests. Please be sure to set yours in order to have your winning essay to Karon Yaden by February 28, 2010. In addition to the winning essay, all club entries must include a copy of the student's birth certificate, application form and a $35 entry fee. For more information, please contact Karon Yaden, PNW District Essay Chair today. 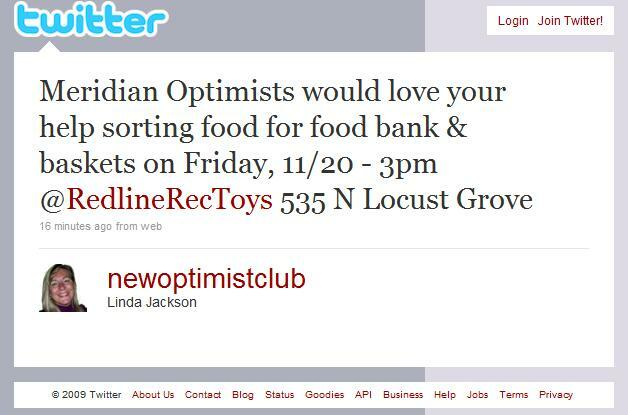 I know that many people think that Twittering is not their thing, but here is an example of how you can use Twitter to get your message out about your Optimist Club. 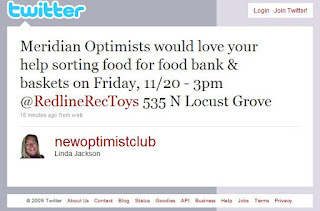 Be sure to follow us at http://twitter.com/newoptimistclub. Wear your nametag and get a new Optimist Club member! Think about the one thing that would help you serve more kids in your community. What is it? More members! That's why we're excited to promote the Nametag Program for awareness and membership in the Pacific Northwest District - Optimist International. What is it? The Nametag Program asks you and all the members of your Optimist Club to choose one day a month to wear your nametag all day as you go about your usual business. You will discover that the nametag makes you approachable. People will say hello and ask you why you are wearing a nametag and that's your chance to tell them all about your Optimist Club. Practice your elevator speech and ask them if they want to learn more. Invite people to visit your club and when they do, ask them to join. It's a great way to spread Optimism in your community. Are you ready? Set? Get your nametag on! It's Youth Appreciation Week! I'm looking forward to hearing about the great programs in your community. Please be sure to share your pictures and a few lines about how your Optimist Club made a great day for the kids. The first story comes in from the Coquitlam Optimist Club. They held a free youth skate and a walk for youth. Youth groups raised more than $5,500 and with the average group earning about $400 for their cause. Read all about it here. The second story comes from the Jerome Optimist Club where 109 students were recognized for doing the right thing. Two of the recipients are shown in this picture as they wait to walk across the stage. What has your club done this month for this special activity? Please tell us about it. Leave a comment here. The First Quarter District Meeting for the Pacific Northwest District is now in the history books. Over the past weekend, Optimist Clubs from British Columbia, Idaho, Oregon and Washington gathered in Coquitlam, BC to share their passion for bringing out the best in children. The main topic: membership. The main focus: retention and growth. The vehicle for accomplishing our goals: Optimist Club projects. The weekend began with a Walk 'n Talk in the business community adjacent to the hotel property. Armed with flyers about Coquitlam Optimist programs, visiting Optimist Club members hit the streets to invite local business persons to participate and to consider joining the Optimist Club. It was a great way to reintroduce the Coquitlam Optimist Club to the community. That evening, the opening session was inspirational as the Coastal Sound Music Academy Choir welcomed the Optimist district with native songs and the national anthems for Canada and the United States and Councilman Brent Edmundson offered a welcome from the city of Coquitlam. Linda Jackson, Governor explained the importance of wearing name tags to make ourselves approachable, but more important to make visitors, guests and new members feel like a part of our Optimist Clubs. Larry Blackburn, Caldwell Optimist Club, Alan Zehntbauer, Beaverton Optimist Club and Lorraine Coots, Mason County Optimist Club each described a favorite project conducted by their respective clubs and Ed Murphy, Governor-elect introduced us to a five first timers before we adjourned to the Halloween party in the hospitality room hosted by the Abbotsford Optimist Club. On Saturday, we approved our district budget, held a NOW Luncheon that included potential new members from Burnaby, BC and heard from our District Chairpersons for Essay, Oratorical, Internet Safety, JOOI Clubs, Leadership Development, Membership and Growth. More information will be provided about their reports in upcoming posts. We also met and learned from Mark Weinsoff, International Vice President for the West Region. It was a good meeting, full of information about how members of the district leadership team are available to come to your community to help your Optimist Club grow. There was also an emphasis on participation and it was determined that our district website would be revamped to be a better, more interactive communications tool. Funny, I didn't fully understand how much information was shared until I started writing this post and unfortunately I know just how much has been left out. We will try to relay all of the information through our blogs and bulletins, but the phrase "you had to be there" still comes to mind. I hope you were; but if not, please be sure to join us in Portland, Oregon on February 20, 2010 for our Second Quarter District Meeting so you can participate and learn firsthand. The Twin Falls and Jerome Optimist Clubs are without a doubt some of our favorite ghouls. Every year at Halloween they set up the premier haunted house experience for the community with all funds going to benefit the popular Optimist Coat for Kids Program. Take a look at the scary stuff happening at the old Kruzer's Bar in Twin Falls this weekend. The Optimist Club of Abbotsford, British Columbia has been nominated to receive a Business Excellence Award by the Abbotsford Chamber of Commerce in the "Social Responsibility" category. What an honor! And it comes right at the time of the 25th Anniversary of their club. The nomination came from a chamber of commerce member who is still anonymous at this time. In order to accept the nomination, the Abbotsford Optimist Club had to prepare a 250-word narrative with pictures for consideration. It was a challenge for them to summarize 25 years into 250 words, but you can click here to see that they did an excellent job with the essay. The next step in the process was a personal interview in front of a panel of judges. And now, they know that they have been chosen as a finalist, but they must wait until November 18 to see if they come in first place. Current president Gerry Morrison and Charter president David Morrison will be representing the Abbotsford Optimist Club at the Awards Banquet. I can't wait to hear the results, but according to Presidents Morrison, it is an honor to be nominated and win or lose, they are spreading the mission and purpose of the Optimist Club in their community. That is certainly true. Thank you for that and good luck! Photo and essay provided by Gerry Morrison, President, Abbotsford Optimist Club. Once a month, the Optimist Club of Gresham, OR celebrates a night out. They meet in the evening allowing members who may not be able to attend at the regular time an opportunity to share in club fellowship and catch up on the programs. It is also a social opportunity involving spouses and guests. This month the Gresham Optimists will meet on October 29, 6:30 pm at Burgerville, 2975 NE Hogan, Gresham. In addition to being the evening meeting location, Burgerville will donate 10 percent of all sales plus 25 cents for every pumpkin or caramel apple smoothie that is purchased between 4:00 pm and 9:00 pm to the Gresham Optimist Club. 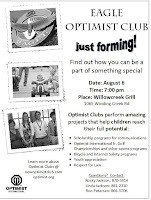 Come on out for a fun and rewarding Optimist good time. Jerron Moore will be stepping down as the executive director of the Boise Noon Optimist Club Football Program this year. Along with other Optimist Club members and friends, he has been a major motivation and inspiration for expanding the program and developing the the Youth Sports Complex that serves Boise and Ada County. Read more about Jerron in a great article in the USA Football news. Have you made your reservations for the District Meeting in Coquitlam? We have a dynamic first session planned for you. Check out the First Quarter Meeting Program now. And then cruise on over to the registration page and make your reservation today. Optimist Clubs come together four times a year for District Meetings to share ideas and resources, receive training specific to Optimist Club administration and share fellowship. Optimist Club presidents are members of the District Board of Directors and help guide the activities and mission of the district. This year we plan to provide on-the-ground assistance to clubs to help you build your membership and generate awareness for all that you do. We hope to hear from you about how we can help you at home in your local community. Please click to enlarge. On Saturday, October 11, the Optimist Club of Beaverton, Oregon participated in a playground project with the Tualitin Parks and Recreation Department. One afternoon, one playground. Enjoy the photos from Alan Zehntbauer, Lt. Governor, Zone 4, PNW District - Optimist International and Beaverton Optimist Club member. On Wednesday, I set out to make my first official visit as the governor of the Pacific Northwest District, a journey that took me more than10 hours away from home. The twist to the story is I had to be back in the Boise area by Saturday morning in order to fulfill my "real" work commitments. It was a whirlwind tour, but it was fun! Sue Thompson, Lt. Governor, Zone 7 joined me on the trip. She was the official photographer and I will follow up with pictures when I receive them from her. Our first stop was in the Portland area where we visited the Gresham Optimist Club led by President Don Weston. It was a busy morning for the Gresham group as they had two guest speakers and me! I very quickly said hello, presented Zone 5 Lt. Governor Bertie Slauson with her official lt. governor pin and then sat down to enjoy the program. Student of the month Nche Omyima explained that her success as a student was largely inspired by her parents encouragement to do her best. She was followed by another well-spoken young woman Kayla McGannon, Advocacy Director for Stand for Children who discussed solutions for keeping children in school. We left Gresham enroute to our primary destination of the Bay Area Optimist Club of Coos Bay to attend a NOW activity. It was so hard to drive by the Optimist Clubs of Albany, Lebanon and Salem, but I was too afraid that I would be late for my commitment in Coos Bay at 5:00 pm. It turned out that we made a wise choice as we we arrived just in time to prepare the presentation and create some enthusiasm with the Coos Bay Optimists. We hope our efforts will garner 3 or 4 new members. 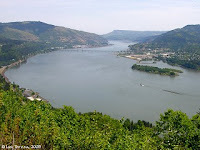 The next morning we were on to the Optimist Club of Roseburg where they graciously allowed me to speak to my heart's content. It was so much fun meeting with them. Led by President Kelly Jantzen, they were by far the youngest group of Optimist Club members that we had the honor to meet on this trip and truly represent the upcoming leadership of our district. I hope to see them and all of my new Optimist friends at all of our district meetings. Optimist Clubs are my favorite thing! Hello world! Does it look different to you today? Did you wake up grateful and full of positive energy? In the Pacific Northwest, our seasons have changed. Yesterday there was a touch of snow, 9 inches, in Eastern Idaho and there were tsunami warnings along the Oregon Coast. It was even the day where we went from air conditioning in the morning to the furnace at night. Today, the sun is shining brightly heralding a beautiful fall day. We know the seasons are marching on. Our lives are moving forward. Our passions are glowing brighter. Over the past couple of weeks and for a few days more, we've had the pleasure share our love of Optimist Clubs as we welcomed new officers to their respective leadership positions within our Optimist Clubs. Today, we share that same spirit with the new officers and district chairpersons of the PNW District . We offer our assistance to you and your club as you lead your community to do great things. We offer you encouragement as you inspire children to reach for their full potential. And most of all, we wish you joy as we move forward into a new year of positive actions and deeds with our Optimist Clubs. Thank you for giving of yourself in service through your Optimist Club. As you go forward in the new Optimist year, inspire others with your enthusiasm; make your Optimist Club your favorite thing. Tonight is the night when all Optimist Clubs pass the baton as we move from one administrative year to the next. It is not an ending or a beginning; but rather, just like a relay race, the time to let the next runner advance to the next station, a site that he or she will reach in 365 days. Thank you to our 2008-2009 PNW District Governor Peter Smith and his team of Lt. Governors, Committee Chairs and all of the retiring Optimist Club presidents in British Columbia, Alaska, Idaho, Oregon and Washington. You rock! The Optimist Club of Vancouver, WA is hosting an old-fashioned baking contest as part of the family-friendly Old Apple Tree Festival celebrating the oldest apple tree in Washington state on October 3. 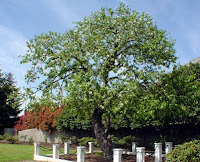 According to the Vancouver urban forestry division, the tree is 182 years old. As part of the event, apples from the tree will be given away as well as tree cuttings - one per household - while supplies last. The festival will be held at Old Apple Tree Park, located on Columbia Way just east of Interstate 5 Bridge. Activities at the festival include live music, children's activities, pruning classes, ask the arborist, and the Optimist Club baking contest. How fun and tasty! Download a flyer for the baking contest here. It may seem early, but did you know that right now is the best time to start planning your trip to the Optimist International Convention? The 2010 Convention will be held in Denver, Colorado making it one of the closest and most affordable conventions for Optimist Club members in the Pacific Northwest District. All events will take place at the Sheraton Downtown Denver Hotel on July 8-10, 2010. Convention registration will be open soon, but just to get you into the spirit, please take a look at the photo gallery of the 2009 Optimist International Convention. You'll see a lot of eating, walking across the stage, and "speachifying," but look closely at the smiles, cameraderie and hope that you gain from sharing your Optimist spirit with others who share similar stories and ideals. It's refreshing. Photo: Optimist International President Don and Anita Sievers perform the ribbon-cutting ceremony to officially open the 2009 Optimist International Convention at the Gaylord Palms, Kissimmee, FL. Hope to see you in Coquitlam! Are you looking forward to the new administrative year? Is your club making plans to pass the baton from president to president-elect smoothly? Remember, what we do as Optimist Clubs has no ending; we move from one year to the next in service to our community and with a promise to help bring out the best in kids. At the district level we do the same thing and as we look forward to the new year we continue to work hard and plan activities so that your club can be engaged. It with great pleasure that I invite you to attend the next district meeting on October 30-31, 2009 in Coquitlam, BC. Please register online now or download the registration form and mail to your district secretary/treasurer. Dress up for the Halloween Party! PNW Optimist Club members are known for their fellowship; we know how to have a good time and we will be having a good time in Coquitlam. Club presidents and secretary/treasurers - don't come alone. Please bring your Membership, Fellowship, Bulletin, and Publicity Chairs and your Club Foundation Rep. We hope to see all of you there! Cesar Rubio, a recent graduate from Aloha High School, was awarded a $1,000 public safety scholarship from the Optimist Club of Beaverton, Oregon. Rubio plans to attend Portland Community College and pursue a degree in criminal justice. His goal is to become a police officer. The Beaverton Optimist Club has awarded the scholarship for 15 years in honor of the late Dean Mitchell, a former club officer who was interested in public safety. The club meets at 7 a.m. Thursdays in the Peppermill Restaurant, 17455 S.W. Farmington Road, Aloha. Nine graduates from the class of 2009 were honored by the Coquitlam Optimist Club on September 9, 2009 as the recipients a Robert Simms Memorial Scholarship. Each were chosen based largely based on their service to their school and community and rewarded with $1000 scholarships. Read more and meet the recipients on the Coquitlam Optimist Club blog. The Optimist Club of Sandy, Oregon and the Sandy Kiwanis Club share fundraising and community service activities throughout the year. Recently they came together to unify their support by sharing ideas for future activities. Kudos to President Bill Wardy and incoming President Lori Felix for making the service club connection. According to the Sandyside Up, "It was a great evening of mutual interest and concern for this great community, and also of friendship between the members of these two service groups." Photos courtesy of Lori Felix. Shown are the presidents of the Sandy Optimist and Kiwanis Clubs and the members during the August 13 meeting. For the next eight weeks, many Optimist Clubs in Idaho will be focused on football. With more than 10,000 children participating in the Optimist Football program and thousands of young ladies cheering for them, it is easily the largest program conducted by clubs in the PNW District. The Optimist Clubs of Boise Noon and Nampa have both developed large football complexes in their communities and the Boise Noon Club has reached out to bring other communities into the program including the Optimist Clubs of Emmett, Horseshoe Bend, McCall, and Mountain Home. The teams are coached by Optimist members and the concessions are manned by Optimist members. In Boise, the concession trade has become so large that even the neighboring Meridian Optimist Club has taken on a trailer to assist their friends and make some money in the process. Photo of the Kituku Warriors, a team in the Boise Noon Optimist Football program. The Optimist Club of Hillsboro, Oregon is holding the 4th Annual Bringing Out the Best in Kids Golf Tournament on Friday, Sept. 25 at Meriwether National Golf Club. The tournament is a benefit for the Optimist Club of Hillsboro in support of its programs for Hillsboro youth. The event is an 18-hole scramble with check-in beginning at 11:00 a.m. and tee-off at 1:00 p.m. Entry fee: $100 for adults and $75 for players 18 and under. Mulligans will be available at three for $10 per player. There is also a putting contest for $5, save a stroke string for $5, or all three specials are $15 (save $5) . Form your own four-person team or put one together at the event! Register online now at http://www.hillsboro-optimists.org/. Congratulations to Ed Murphy III for being chosen as the governor-elect of the Pacific Northwest District of Optimist International for 2009-2010. He will become governor of the district in October 2010. Being asked to serve is always an honor and for several years, Ed has frequently declined saying not yet. In his acceptance speech he explained why he chose to accept the opportunity at this time. 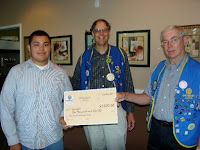 According to Ed, he has been a part of an Optimist Club for forty-three years through his grandfather, father and uncle and personal membership. While reminiscing through his uncle's old photo albums and scrapbooks earlier this year, he realized that life can sometimes be short or take us in other directions so the time to step up to the next level of Optimist leadership was now. 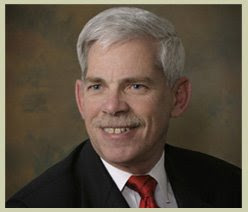 We are happy that Ed figured out what many have known for some time and welcome him to the 2009-2010 Executive Board. Best wishes to Ed and all Optimist leaders for success. Would you like to give back something to your community? Do you want to help children develop positive attitudes? Would you like to help children reach their full potential? Do you want to share your optimism with others? If you answered yes to any of these questions, then you owe it to yourself to become a part of an Optimist Club. Please send us an email now and we'll help you get started. It is convention weekend in the Pacific Northwest District of Optimist International! We are so excited to welcome our friends to SW Idaho. The Boise Noon and Meridian Optimist Clubs are planning some awesome activities and there is great training in store for all of our officer-elects. Watch for updates, or better yet...join Facebook today and you'll get updates from a great number of your PNW Optimist friends. Find us here. It's 2009! Join the social media brigade. Monte Akers, with the Optimist Club of Hillsboro is leading efforts to honor families of National Guard soldiers deployed from Company D/ 2-162. The company is expected to be deployed through April 2010. The Optimist Club has pledged support to the Family Readiness Group for family activities during their family member's deployment. Read more about the project at Oregon.com. Seven times - that is how many times the average person must hear or read about something in order for them to take notice and take action. So how many times have you talked about your Optimist Club in the past week? Are you repeating your message in enough places to make sure you are being heard? One of sessions at the 2009 District Convention will be about Selling Optimism. Rocky Jackson, Ron Petersen and I will lead this interactive and role playing activity designed to help you become confident in your skills and to learn how to turn that elevator speech into something more. Let me share a preview of things to come: In the new administrative year, we will be taking what we learn here to the streets! But don't wait until then; you will want to use this great idea to build your club's membership today. At the meeting we identified three champions to our cause: Dan Elser, David Gereg and Mark Sjobeck. The three local businessmen have us meeting on a different day, in a new location and have even tentatively chosen arts and culture as their preliminary focus. Eagle is a blossoming city in Southwest Idaho and creating opportunities for children to contribute to the art scene is a great choice! So join us, won't you? We are meeting this week, Wednesday, 7:00 pm in Eagle Plaza, 228 E. Plaza Street, Suite 1. You can't miss us! Just look for Starbucks and the Optimist Club signs. Be sure to click on the flyer - it's a little different from last week and shows that we are moving forward! You gotta own it. That's what I have been telling myself for a couple of days now because I have been hesitant to write about a new club building effort that is underway in Eagle, Idaho. Why have I been afraid to talk about it? Perhaps because of the fear of failure; but no more. I am ready to own the effort and and I am ready to meet the challenges and greet the opportunities that await us in Eagle and other communities in Idaho and beyond. Here is the scoop: Rocky Jackson, Ron Petersen and I have been walking the streets talking about starting a new Optimist Club in the Eagle community. We have the green light from the mayor, we have spoken with hundreds of business owners and residents and we are now poised for our first formal informational meeting. It will be held on Thursday, August 6 at the Willowcreek Grill, 1065 Winding Creek Road, Eagle, ID. At that time we hope to wow them with all the fantastic projects that an Optimist Club can perform. We also want to hear from them just how they think an Optimist Club will enrich their community. We'd love to hear from everyone! Please send me a message if you are interested in participating or just join us at 7:00 pm, August 6. I can't wait to meet you! Are you an Optimist Club member in the PNW District that is ready to overcome their fear of starting a new club? Please give Rocky a call and he will help get you started today. 208-870-3414. Do you like the bits of inspiration that you get here? Would you like to share your information in real time? Then let me invite you to join the Optimist discussion on Twitter. We talk about programs from around the world. We share ideas for cooperation, projects and growth and we interact with each other. We build relationships. And for me, that is what being an Optimist Club member is all about: relationships. I'd like to get to know you better. Let's tweet soon. 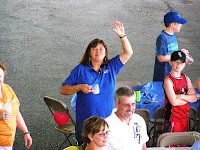 What fair, gathering, rally, or party is your Optimist Club participating in this summer? There are so many to choose from: county fairs, city festivals, Octoberfests, Mayfests, Artfests, and state fairs just to name a few. That is why I was not surprised to see an alert telling me that the Optimist Club of Beaverton, Oregon was going to be at the Party in the Park as a food vendor on Saturday July, 25. According to the alert, they will be selling " barbecued ribs, hamburgers, veggie burgers and hot dogs from 11 a.m. to 2:30 p.m. with music by the Fabulous Farelanes." What some may view as a fund raiser may actually be the glue that holds both a club and a community together. Optimist Club members are always invigorated when they work together on a project and one where they raise money to carry out other projects provides a big bonus to the feel good factor. But most important, when service clubs get involved in community activities they provide manpower, momentum and marketing. That's good old word of mouth marketing that I'm talking about! When you volunteer at an event, you talk about it and invite your family and friends to participate. They talk about it to others and soon everyone is involved. When the next planning committee approaches you and asks for your support, Optimist Clubs and Optimist Club members: raise your hands; get involved. Your community needs you! What are you doing on August 20? Hopefully, you have made plans to be in Boise at the PNW District Optimist Annual Convention. If you haven't already done so, District S/T Gerry Morrison asks you to register online now. Thursday - Play day with golf, airboat and wine tours. The work begins for members in the afternoon with a policy update meeting and the Executive Board meeting at 4 pm. Dinner is on your own and opening session begins at 7:30 pm. The Meridian Optimist Club hosts casino-style fun in the hospitality room following the opening events. Friday - Begin your morning with breakfast with Governor Peter's Team or look forward with a Strategic Planning Breakfast with Governor-elect Linda. Learn all about the new internet safety program from International President Designate Mark Shriver and then head off into orientation sessions for Officer-elects including club presidents, club secretary/treasurers and district lt. governors. Round table sessions will be available for those not participating in orientation activities. The day ends with a Turkey Fry at the Boise Noon Optimist Football Complex. Saturday - Jitterbug into the day with the Old-timer's 50s-style breakfast. Elect your governor-elect during the Board Meeting and plan to make your Optimist Club the best it can be starting today. The weekend ends with the black-tie optional Governor's Banquet. We are looking forward to seeing you there! Click here to register online now. A small but mighty contingent of PNW District Optimist Club members made history at the Optimist International Convention in Kissimmee, Florida today when they rallied to help elect Past District Governor Rocky Jackson as Optimist International Vice President for the 2010-2011 administrative year. He will serve the West Region. Rocky is the first candidate to ever be elected at large from a nomination from the floor. "It was an honor to be nominated," Rocky explained. "It is a joy to be asked to serve. Thank you for the outpouring of support, " he concluded. Rocky has been a part of the Optimist Club of Jerome, Idaho since 1977. In addition to leadership positions in the PNW District, he has also served as Optimist International District Foundation Representative, Optimist International Convention Representative and as a member of the Optimist International Rose Parade Float Committee. Congratulations Rocky Jackson! The PNW District is proud of you. On June 30, the Boise Noon Optimist Club celebrated 60 years of serving youth and community in Southwestern Idaho at the Boise Optimist Football Complex. Nineteen past presidents shared in the festivities along with other Optimist Club members, football players, coaches and families. The slideshow lets you share in the fun. The Boise Noon Optimist Club has always been an active service club. They are widely known for the Optimist Football program and have partnered with the City of Boise to develop the mult-million dollar youth sports complex on Hill Road. More than 8,000 students participate in the football, soccer and cheerleading program each year. The Boise Noon Optimist Club has also shared the football progam with surrounding communities and helped start Optimist Clubs in Nampa, Emmett, Horseshoe Bend, and Mountain Home. The Boise Noon Optimist Club is an active participant in Optimist International programs including the essay and oratorical scholarship contests and the Childhood Cancer Campaign. They participate at the District level and share their enthusiasm and knowledge with others. Congratulations for your accomplishments and thank you for your service. What is the busiest time of the year for your Optimist Club? It seems that many clubs are especially active during the Christmas holidays and then again in April and May as we near the end of the school year. What happens next? Is there a bit of a lull while members take vacations and adjust to a new routine? At the District level, our service doubles during the summer months. It is really a unique time as there are two administration teams in place ready to help your club succeed. The veteran team has been serving you all year long. Those lieutenant governors and district chairpersons have been there for you, ready and able to answer your questions and your district officers have hopefully been inspiring you to success. In May, we elected a new team of lieutenant governors and in your clubs, you have elected new officers for the 2009-2010 administrative year. Let’s call them the rookie team. Our rookie team is full of fresh energy and ideas. No one has told them it can’t be done so be sure to include them in the final months of this administrative year so there is constant energy and enthusiasm for what we do as Optimists. Thursday - For those who arrive early, you can choose to golf or take a jet-boat exploration through the Snake River Canyon and the Birds of Prey National Conservation Area. In the evening we will welcome International President Designate Mark Shriver IV and his spouse and first lady Patricia McKay, M.D. during our opening session and meet our candidates for governor-elect for 2010-2011. Friday – Newly elected officers will receive training. There are special sessions all day for presidents-elect, secretary/treasurers-elect and lieutenant governors-elect. It is important for you to attend these sessions even if you have been an officer before. There are new ideas, new promotions and new ways of looking at things. Nothing is off-limits for discussion. A new year of transparency and communication begins here! Spouses and guests may enjoy a trip to the Idaho Botanical Garden and in the evening we will all travel to the Boise Noon Optimist Football Complex for our annual Optimist District barbecue. Saturday – Start off the day with a flashback to the ‘50s. You won’t know if you want to eat or dance when the jukebox starts playing your favorite songs and then we’ll jitterbug right into our District Board Meeting where we elect our governor-elect for 2010-2011 and a third team of enthusiastic Optimists join in our administration to make us strong and our service continuous. There will be more opportunities for networking and learning throughout the day before we head into the Governor’s Banquet and installation of officers for our coming year. It is a bittersweet moment when our convention comes to a close. We are both happy and sad for it marks the passing of another year. We are so blessed as Optimists that we mark our time with service and gratitude. Please don’t miss this time that we share together. Join us in Boise for this very positive time of transition. Register online for the PNW District Optimist Convention now. Picture: Cindi Wall, President of the Boise Noon Optimist Club can't wait to welcome you to Boise. The best score of 72 was posted by Tyler Falk, Springfield, Oregon, in the 16-18 boys division. Coming in second place was Calvin Green and Dominic Divito with 78. In the girls 16-18 division, Aaren Ziegler posted a 74. This is the third year that the Hillsboro Optimists have hosted this event. Thanks for making it happen for the kids. Roseburg Optimists hope you celebrate the 4th with a bang! For the first time the Optimist Club of Roseburg, Oregon will be selling fireworks for a summer fund raiser. The tent went up Tuesday at the Wal-Mart parking lot, 2125 NW Stewart Parkway, Roseburg, OR. According to a club spokesperson, they hope to "make a whole bunch of money we can put back into the kids in the neighborhood." Some of the projects they perform each year are Family Safety Day, the Halloween Spook-tacular and Respect for the Law Banquet. The fireworks sold at the stand are all legal, but the club cautions that you still need to take the necessary precautions when lighting them off to prevent injuries and fires. Four graduating seniors were recognized by the Optimist Club of Auburn, WA in the annual Dollars for Scholars scholarship program. Shown here are Jim Fletcher, President, Auburn Optimist Foundation and Lucrecia Lopez, Jessica Heg, Spencer Darrington and Nathan Froelich. Lucrecia, 18, Auburn High School graduated with a 3.52 average and plans to begin her education at Green River Community College. Jessica 18, Riverside High, graduated with a 3.27 average and will attend Pierce College at Puyallup. Spencer, 18, West Auburn High maintained a 3.18 average and will attend the Seattle Arts Institute. Nathan, 18, Auburn Mountainview graduated with a 3.59 and will attend Brigham Young University. Congratulations to all! 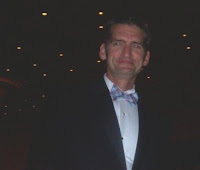 Mark Shriver IV, Optimist International President 2009-2010 will join us in Boise for the PNW District Convention on August 20-22 fulfilling a tradition in the district of hosting the incoming president each year. Mark has been an Optimist Club member since 1981. A very cool trivia fact about Mark is he has sponsored at least one member every year since he joined. As president he plans to encourage clubs to do more projects for children. To help achieve that goal, he has worked with ikeepsafe.org to develop a new internet safety program for children and adults. The program focuses on identity theft no matter your age. Mark will be joined by his spouse and first lady Patricia McKay, M.D. Find out a little more about Mark in an article from the College of William and Mary Alumni News. Click here to register for the PNW District Convention today. The Meridian Optimist Club held a pre-qualifying tournament for the PNW District Junior Optimist Golf Championships. The district tournament qualifies golfers to advance to the international tournament at the PGA National at the end of the July. The club tournament was an opportunity for local golfers to qualify for a free ride to the district event. The Meridian Optimist Club is proud to announce that five golfers, ages 14 to 18 were offered the opportunity to advance to the district tournament. From left to right, they are Mark Baer, Jacob Adams, Ian Hannu, Kathryn Buckingham and Tyler Barker. Unfortunately, due to prior commitments, some will not be able to make the trip to Hillsboro, Oregon, but we are happy to announce that Mark Baer and Ian Hannu will represent the Meridian Optimist Club at the Pacific Northwest District Optimist Junior Golf Tournament. Mark placed first in the boys 16-17 division with a score of 75. Ian place second with a score of 79. In boys 14-15 division, Jacob Adams placed first with a round of 87. The girls participated in the 14-15 age division. Kathryn was the first place qualifier with a round of 75. Tyler scored 79 for the second place finish. The Meridian Optimist Club Junior Golf Tournament was played at the Boise Ranch Golf Club. Bob Thompson served as the Tournament Chairperson. Despite the overcast skies and a touch of rain, both kids and Optimist members had a great time at the first annual tourney for Idaho. Summer is here! One thing I've noticed about Optimist Clubs, especially in the PNW, is there is a big rush of activity in May and then a quiet lull for the first few weeks of summer as the children leave school, parents plan vacations, and we settle into a new routine. 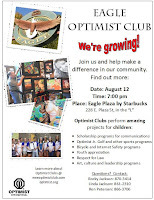 This is the perfect time to start an Optimist Club! Why do you ask? Because it is a time when we can best display our need. Parents want their kids to do something fruitful for the summer months and Optimists provide positive programs for children. Consider a starting an Optimist Club in your neighborhood subdivision. Your new club could hold recreation days in the park for kids to shoot hoops and play. Your new club might get the children involved in a neighborhood clean-up program or volunteer to walk dogs for residents who are away at work during the day. Your new Optimist Club could host a neighborhood garage sale or car wash for fund raisers. Or think about this activity and fund raiser all in one: plant a community garden! Think how a new Optimist Club in your subdivision would boost neighborhood pride, friendships and fun. Visit http://www.newoptimistclub.com/ to find out how to get started today. The PNW District has both a US and Canada qualifying tournament for the Optimist Junior Golf Championships. The Canada qualifier was held May 23-24 at the Swan-e-Set Bay Resort Club. 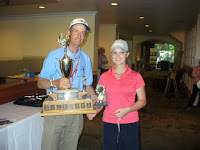 The event was a combination tournament for the Canadian Junior Golf Association and the Optimist International Junior Golf program. Qualifiers were determined to advance to both The Optimist at the PGA National Resort and Spa and the Junior World of Golf Championships at Torrey Pines. Taking first place honors for The Optimist qualifier were Curtis Chan, Boys 14 and under, Jared Hundza, Boys, 15-19 and Jae Hee Choi, Girls division. See the complete results of the tournament here. The US qualifier for the PNW District will be held on June 22 in Hillsboro, OR. The Pacific Northwest District of Optimist International held their third quarter meeting in Hood River Oregon, May 15-16, 2009. Six fabulous contestants competed for college scholarships in the Optimist Oratorical Contest. Each had advanced from their club, zone and regional competitions. All spoke on the same topic, "To me, Optimism is..." Our top contestant and the recipient of a $1,500 scholarship was Ryan Niezgoda. The Bay Area Optimist Club of Coos Bay, Oregon has donated 350 bicycle helmets to the Coos Bay, North Bend, and Charleston Fire Departments. The Fire Departments keep them on hand and distribute to children as they need them. According to Optimist board member Jill Hanson, the idea to donate helmets came from a visit she took to a fire station in Douglas County a few years ago. She saw a youngster come in and ask for a helmet. The fireman helped the child pick out the size and color that he wanted. An idea was born! As an Optimist Club member, she saw that an opportunity existed to start a great program within the community. She spoke to Fire Department Chief Gibson who said they didn't have such a program so she explained to him, I belong to the Optimist Club , we're for youth, [let's do] it together." The club has donated 1,250 helmets over six years. Free helmets are available at the Coos Bay Fire Department every day between 9 am and 7 pm. And how do they do all of this? With a smile, of course! Thank you so much for all you do in your communities! Find out more about the candidates running for international offices and discuss the proposed amendments with your club. As Optimist Club members, we determine the direction of our organization. It's our responsibility to read up and act on the issues. Has your Optimist Club nominating committee recommended a slate of officers for the 2009-2010 administrative year? Has the club asked for nominations from the floor? Has the voting been concluded? Following Optimist International protocol, all club elections should be completed and reported to the District and International offices by May 20. Your club can make the report online at the PNW District website or by mail, fax or email with the Optimist International officer elect form. Early elections allow the incoming officers to receive training and orientation at the International and District Conventions. It also helps provide a smooth transition from one year to the next. Make sure your future leaders are part of the team. Recognize them early and get them involved. Have you made your plans to attend the Optimist International Convention? It is being held in Orlando this year - a real family vacation destination - on July 8-11. Highlights include orientation and training sessions for all incoming officers for clubs and districts, personal development workshops, and terrific Optimist fellowship for all to enjoy at all functions. Of course the overarching purpose of our gathering is to participate in the governance of the organization. Every club should consider sending their club president and president-elect so they may represent your club at the business sessions and participate in all voting that will take place. One issue that has been proposed is to increase Optimist International due by $10 per member. Other issues will be announced soon and may be found at www.optimist.org or www.optimistleaders.org. Talk about it at your next club meeting and make your plans to attend. Early bird registration has been extended to May 11. It's a whopper! This young man caught the big fish - a catfish no less - at the 2009 Morgan Lake Fishing Derby on April 25. The fishing derby is coordinated by the Optimist Club of La Grande, Oregon and sponsored by Bi-Mart. One hundred and eighteen young anglers participated and awards were given to the top three fishermen in categories 6 and younger, 7 to 10 and 11-16 age groups for the heaviest fish. According to Optimist fishing derby officials, all other fish caught were trout that had been stocked in the lake a few days earlier. The catfish was 1 lb 8 oz. and the top trout was 1 lb 6 oz. Optimist International got a makeover today. Embracing the purple and gold colors and placing our Octagon right on top of the page, you can feel both the history and the vision of our respected and loved organization. Take a look: http://www.optimist.org/. If you haven't scanned our official "home base" in a while, please take some time to tour the website while you are there and refresh yourself about the great programs and projects that Optimist International promotes on behalf of your Optimist Club. I knew they sponsored free skating events, but what I didn't know is that the Optimist Club of Mission, BC also sponsors free swimming for youths up to 18 years old. Youth Free Swim Nights are every Friday from 8:00 pm to 10:00 pm, May 1 to August 21 at the Mission Leisure Center. What a great way to keep our kids safe and active on Friday night! Here is a great way to link your name or to honor someone you respect with some of the greatest activities that Optimist International performs. 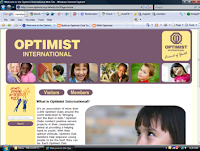 Make a gift to the Optimist International Foundations to endow a scholarship. An agreement to fund the $2,500 scholarship annually for a five-year period. The donor signs a contract specifying payment for the upcoming year no later than December 31 of the previous year. An agreement to fund an endowment of $50,000 to permanently fund one $2,500 scholarship. Again, the donor signs a contractual agreement. Find out more by contacting the Optimist International Foundation at 800-500-8130 and asking for Judi Smith, Executive Director or Rachael Lowes, Development Director. This opportunity is available through the St. Louis Office for all Foundations that support Optimist International. It is time to be thinking about the next PNW Optimist District Meeting! On second thought, don't just think about it, register now! The PNW Optimists will gather for the third quarterly meeting on May 15-16 in Hood River, Oregon. You won't want to miss the District Optimist Oratorical Finals. This year's topic is "For me, Optimism is..." so I'm looking forward to some positive thoughts from our young public speakers. We also elect our Lt. Governors for the 2009-2010 administrative year at this meeting. Are you ready to share your passion about Optimist Clubs? Being a Lt. Governor is the best way to get started and learn to share your Optimist story. Let the candidate qualifications committee know of your interest today. Governor Peter Smith and his team are planning an informative and enjoyable meeting. See you there.